Years ago, I used to frequent the second hand book shops around Auckland for books on architecture and geometry. 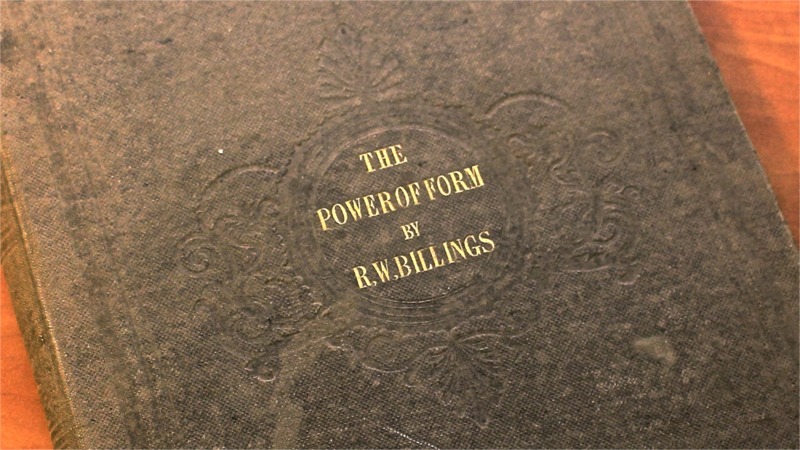 For the princely sum of $11.00 I picked up an autographed book called ‘The Power of Form Applied to Geometric Tracery’ by Robert W. Billings; published in 1851. 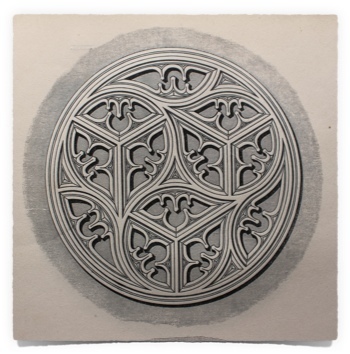 The book contains 100 examples of geometric tracery and each example is based on the same geometric foundation. I’m always fascinated at how, from such a simple geometric foundation, an infinite variety of designs can spring forth. 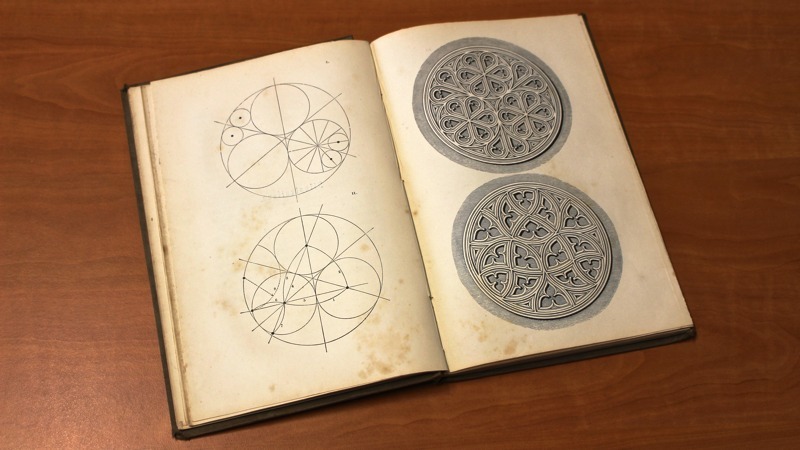 For all the 100 examples in this book, the geometric foundation is three circles inscribed within a larger circle. 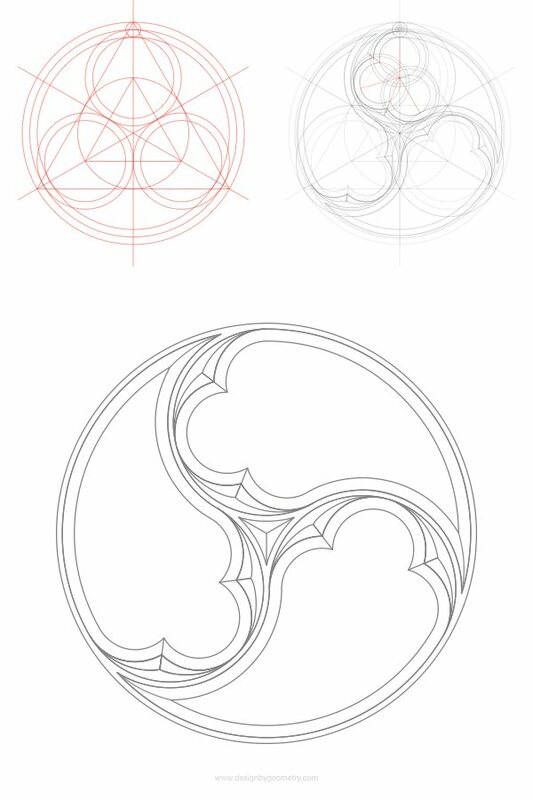 Below, is an exercise using these three circles to create a simple example of gothic tracery. This design was recreated using iDraw and is based on a drawing that can be found in “The Handbook of Ornament” by Franz Sales Meyer. If you have a Mac and Graphic (formerly called iDraw), you can download the drawing file from here. The following two images are reproduced from “The Power of Form”. 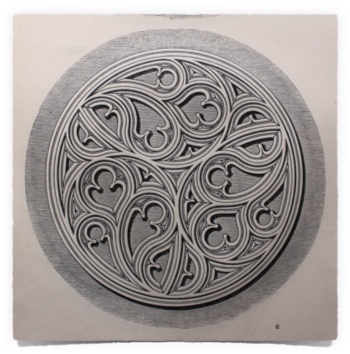 They are woodblock engravings, which at the time of printing, cost around the same as plates. This means that you can actually feel the embossed design on many of the pages thanks to the woodblock printing process. The building below is St Paul’s Cathedral, Dunedin, New Zealand (built 1915-1919). It includes a number of simpler window designs that are based on the same geometric foundation. Thank you for sharing these excellent insights and references !